When a business owner tells me, “Sometimes, I speak from my heart,” then my radar sounds a warning. Well, not a warning as much as an alert. It gets my attention. You can’t separate your head from your heart so stop all this foolishness of something either being head or heart. It’s not an either/or proposition. It’s always an AND deal. What are you, a Vulcan? Nope. You’re human. Sheryl Sandberg has a new book coming out today called Option B: Facing Adversity, Building Resilience, and Finding Joy. She’s #2 at Facebook. Worth billions. But her world got rocked and her heart got broken a couple of years ago when her husband died suddenly leaving her with a 2-year-old daughter. To raise alone. In spite of her resources she needed to find her way back to life without her beloved husband. She not only needed to speak from her heart, but she needed to hear from her heart. Facebook isn’t such a small business, but my work focuses on small business (it’s what I love). Proof I suppose that the heart isn’t just the engine behind small business owner success, but ALL business owner success. Today’s video is just 10 minutes long and I hope it inspires you to find your way through whatever challenges and opportunities you’ve got. 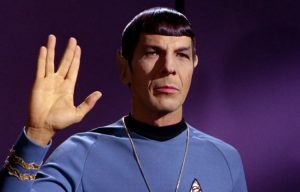 Live long and proper!